Only a few spots remain for our recreation inhouse program which begins week of 4/22. Registration for Spring 2019 Inhouse divisions (PREK ages 2/3 - 8th grade players aged 15). Many divisions are full, only a few remaining spots. 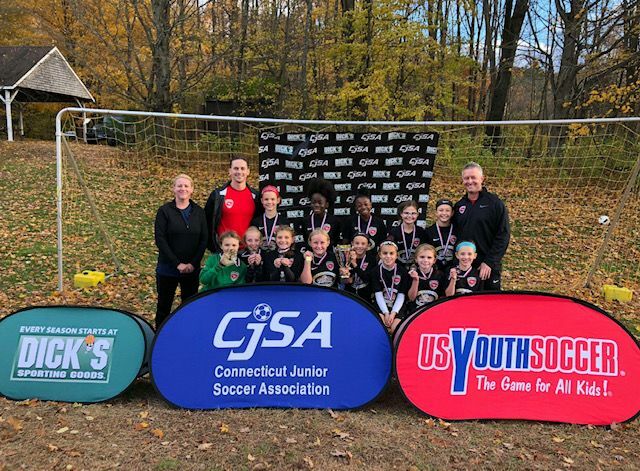 Please congratulate the Manchester U11 girls soccer team which defeated Monroe on Saturday 11/3/2018, 1-0 to win the CT State Cup. These girls worked hard all fall defeating Darien, East Lyme, Colchester, Trumbull and West Hartford on the road to the championship. They also finished the season undeafeted in league play. This team showed pride in their team, club and town and we all thankful for their hard work and dedication. The team was coached by Shane Buzzell.